Utilizing real-time geographic locations - we can put your message into the hands of consumers frequenting locations of high relevance to you. Geofencing locations your consumers frequently visit combined with a clear creative message puts your business in the hands of highly qualified consumers. We've identified the below audience segments based on past location visit history. Our audiences are constantly refreshed so only the most recent consumers are identified as fitting any given audience segment. 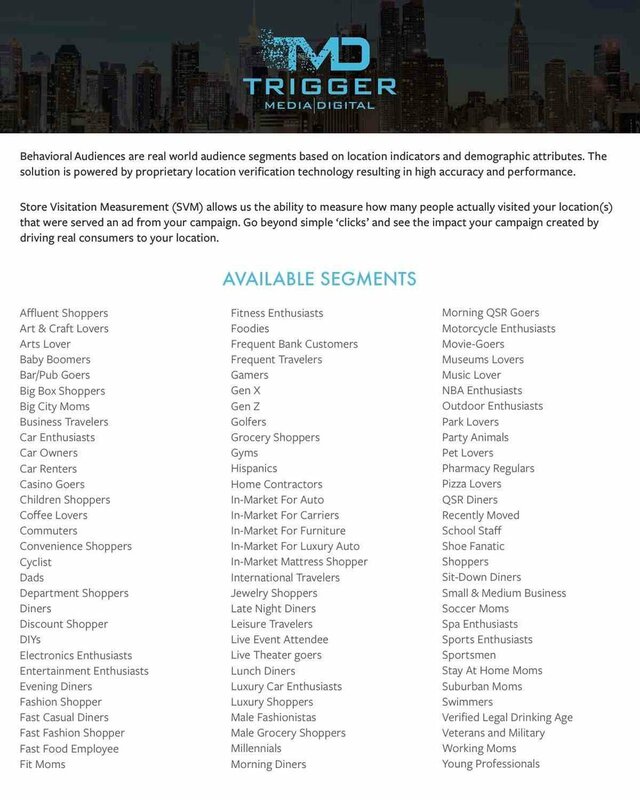 These segments are geographically targeted by DMA, State or Country.